Everyone! The American Academy of Dermatology is providing free skin cancer screenings to everyone at locations all over the country. 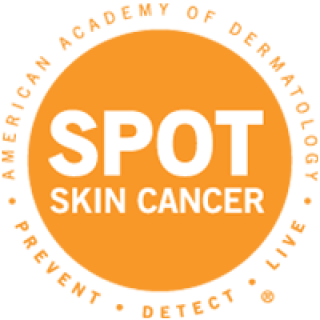 It’s part of their ‘Spot Skin Cancer’ campaign. Such a great freebie! And so important for every single one of us. Be sure to take advantage of this great offer. It’s easy and free – and it could save your life. Simply go here to find a location near where you live. In addition to this free screening, be sure to protect your skin from the sun! Do not let yourself burn and do not use indoor tanning beds! If you want a sunkissed glow the safe way, use a sunless, self tanning product. These lotions, sprays and mousses can be applied before bedtime or even during the day, giving you a pretty tan after a few hours. Check out our self tanning lotion page for samples and freebies that will give you some color without the damage. This is such a great freebie! Too bad I’m too far. I’d love to win this for mom! Thanks for the chance. I would gladly do this except that they aren’t offering free screenings in my area. If this is offered nearby, I agree that everyone should take advantage of this offer that can help save your life!